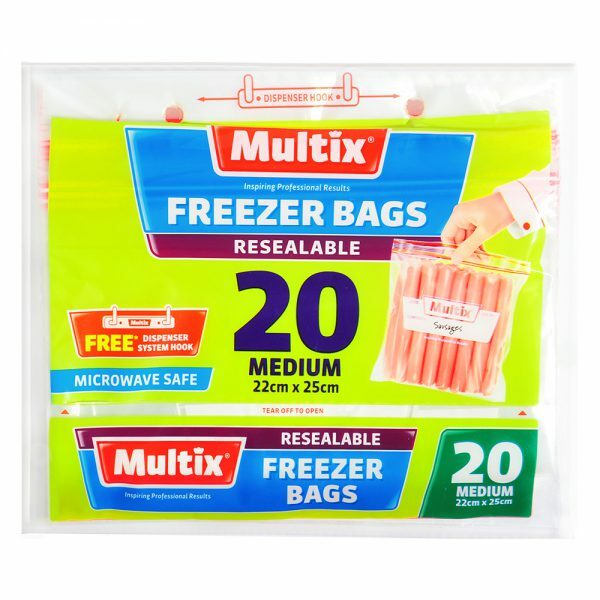 20 Medium Multix Resealable Freezer Bags. Ideal for food storage, lunch bags & travel. They are microwave safe. Size: 22cm x 25cm. To avoid suffocation keep bags out of reach of children.